When a marketing plan is targeted at a general audience, your story will likely be all too general as well. A technique to avoid that is to visualize a specific individual, a persona. Small businesses that are new to online marketing often misunderstand the concept of ‘audience’. You have more leads than you may think! Editor's Note: This post is part of a series on developing an effective Online Marketing Strategy. It tells the story of John, a small business owner, who creates his first online marketing plan, using the Audience Creator. 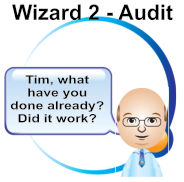 Content Marketing Wizard Tim coaches him along this journey. Tim introduces an novel idea about who your audience is. 'Audience circle??' John asks, when he reads the header above this chapter. 'Let me think,' says John. 'Yes I have one, everyone who subscribes is added to the mailing list.' He adds it to the marketing efforts that work. 'And are they all paying customers?' Tim asks. 'Hey, wait a minute,' John stops him. 'No I don’t. And that’s just what the problem is: too many things to think of. That’s why I hired you, didn’t I?' he exclaims. Tim grins. 'Just teasing you,' he says. 'And you’re right. There is a lot to think of. Most importantly, you have to make a change in mindset. The Internet, and especially Social Media have added a new dimension to the marketing process. First of all, they are a new channel for word-of-mouth. You can either publish your content on social media directly, or you can use social media to notify people when you have told a story somewhere else. Whatever story you tell, share it on social media. Sharing content on social media means it can get repeated and shared by others, so more attention is brought to your business. It doesn't stop there. Through social networking sites, you can have conversations and interactions with individual followers. It isn't just a one way street. This personal interaction can instill a feeling of loyalty into followers and potential customers. Building trust is an important aspect of content marketing. 300 leads on e-newsletter mailing list. The entire story of John and Tim is also available for reading on your computer or mobile device. Get it from Amazon or Smashwords. 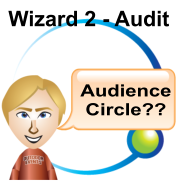 Looking for more information and instructions on how the Audience Creator wizard can work for you? Learn more. About the Author(s): This article was written by Arno van Boven and Ronald Kloots of Content Marketing Wizard. Even when you start your marketing strategy from scratch, it is recommended that you take into account any previous marketing efforts you have put in, if any of course. This post is part of a series on developing an effective Online Marketing Strategy. It tells the story of John, a small business owner, who creates his first online marketing plan, using the Audience Creator. Content Marketing Wizard Tim coaches him along this journey. Last episode: Does Your Marketing Strategy Know How Big Your Goals Are? Where has John been doing? 'Where have you been,' Tim asks. 'I beg your pardon?' John answers with a puzzled look. E-newsletter sent every 3 months to 300 people on the mailing list; Webform on website yields 5 new subscribers a month; Visit networking events once a month. Intensive cold calling of 40 HR executives in a period of 2 months. Only 3 contacts added to the list; Advertising in three editions of a health magazine; Two direct-mailing (print) sent 9 months and 4 months ago to leads and customers on the mailing list.In the next episode, John learns a new way of looking at his audience. About the Author(s): This article was written by Ronald Kloots and Arno van Boven of Content Marketing Wizard.